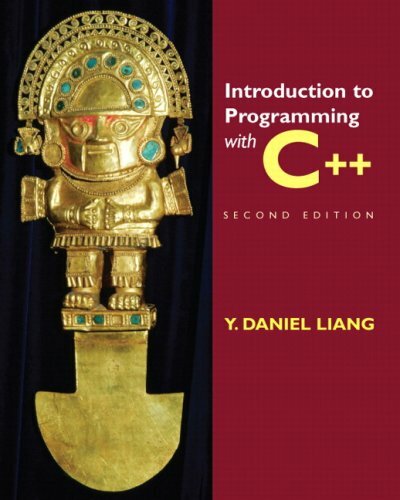 This solid foundation in the basics of C++ programming will allow readers to create efficient, elegant code ready for any production environment. KEY TOPICS: Introduction to Computers, Programs, and C++. Elementary Programming. Selections. Loops. Function Basics. Advanced Function Features. Single-Dimensional Arrays. Multidimensional Arrays. Objects and Classes. Class Design. Pointers and Dynamic Memory Management. Templates and Vectors. File I/O. Operator Overloading. Inheritance and Polymorphism. Exception Handling. Recursion. Algorithm Efficiency. Sorting. Linked Lists, Stacks, and Queues. The following bonus chapters are on the book’s Web site: Binary Search Trees. STL Containers. STL Algorithms. Graphs and Applications. Weighted Graphs and Applications. AVL Trees and Splay Trees. MARKET: Ideal for beginning programmers.